November is peanut butter month! 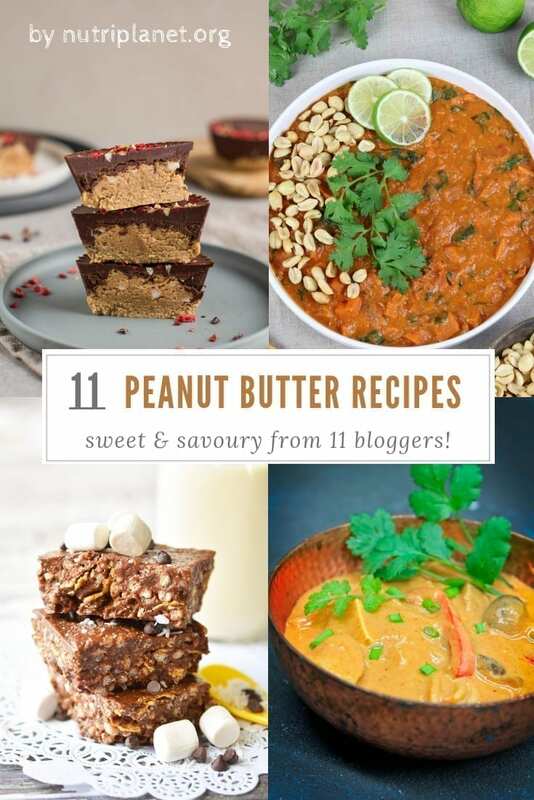 Let’s celebrate with 11 easy sweet and savoury vegan peanut butter recipes that will make you see a whole new side of the holy butter. And of course, homemade peanut butter is the best! Alternatively opt for high-quality organic additive-free peanut butter and definitely steer clear of those conventional butters with added oils and sugars. 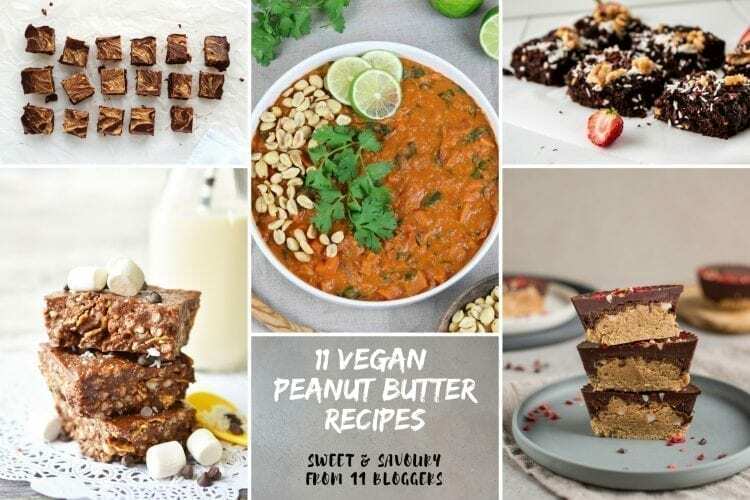 National Peanut Butter Month was a great reason to team up with 10 other vegan bloggers and bring you a wide range of vegan recipes using peanut butter. Of course you can also eat peanut butter out of jar, but sometimes it’s fun to experiment with new ideas! 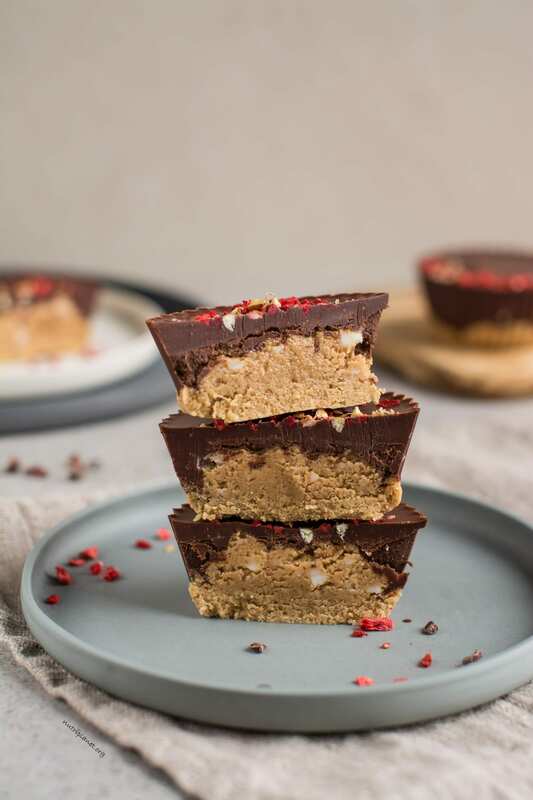 Let me show you how to make peanut butter cups with dark chocolate using wholesome ingredients. You’ll find them irresistible as the peanut butter filling is perfectly sweet, salted and caramelly at the same time. Take out the 9 ingredients (+ salt and sweetener), a few bowls and spoons and make your afternoon tea something to look forward to. Here’s one of the few (or is it the only?!) low-fat peanut butter recipes. 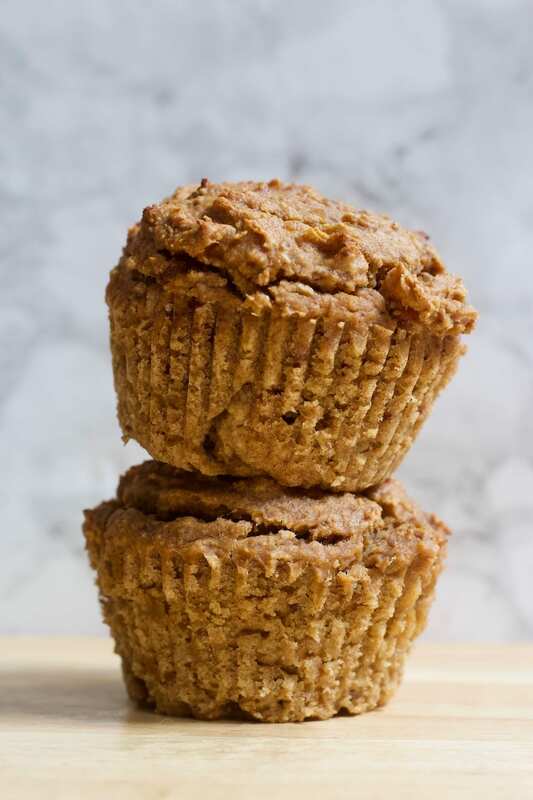 Regardless of their low fat content, those peanut butter muffins will definitely win you over. Get ready to eat yourself full with no regrets! Call it peanut butter oatmeal if you like, it’ll still be as delicious! 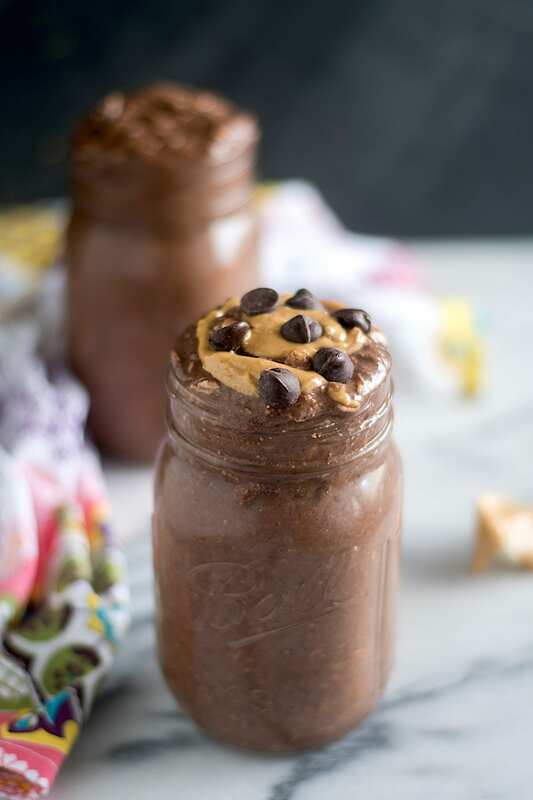 Definitely try this, if you’re into the most delightful combination of chocolate, peanut butter and oats! 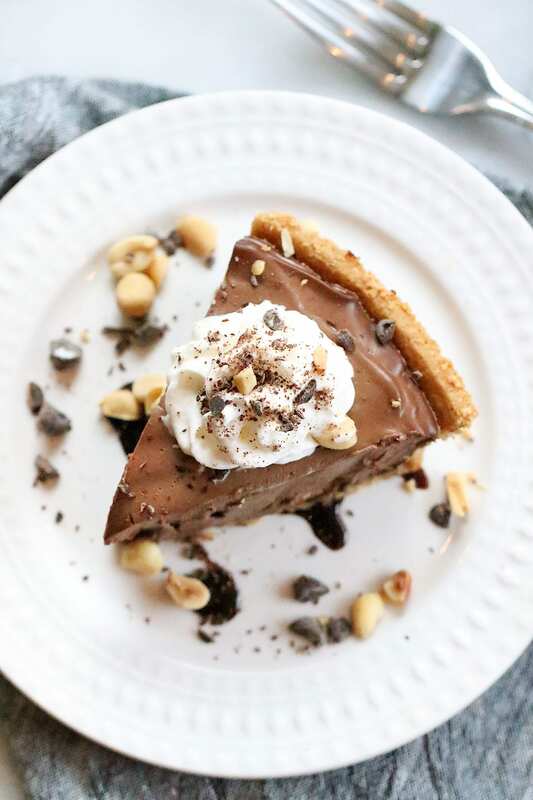 You’ve now found to one of the most decadent peanut butter recipes in this list! 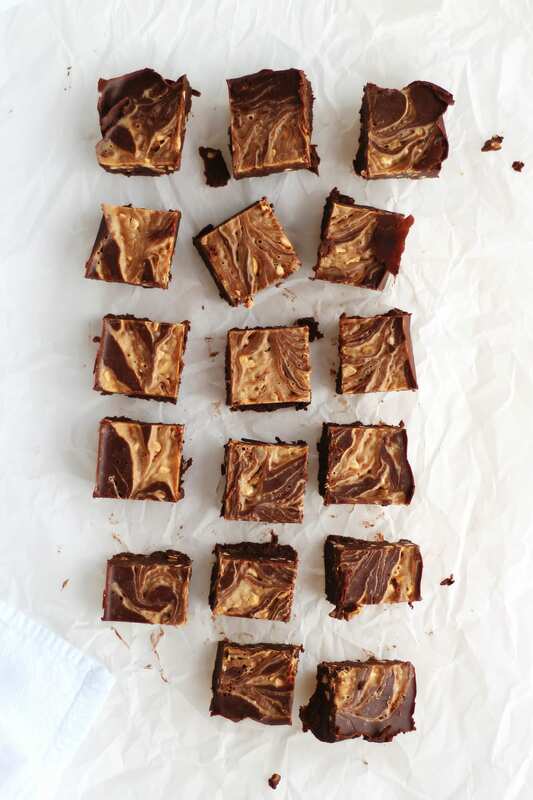 If you’re looking for a divine afternoon bite with perfect texture, definitely check out this peanut butter fudge recipe. 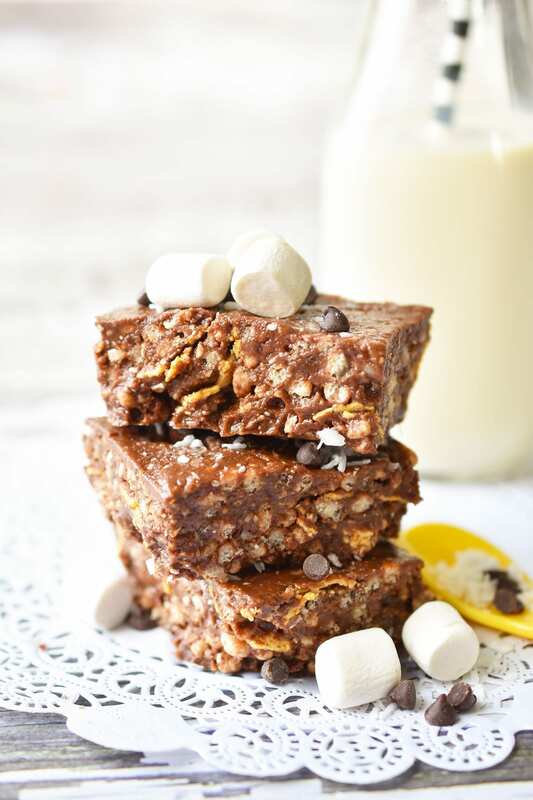 Those chocolate peanut butter bars will lift you up with the heavenly flavours seducing you with both soft and crunchy texture. Finally something savoury, right? I guarantee this creamy and hearty sweet potato peanut butter stew will be right on spot after all those heavenly sweet peanut butter recipes! 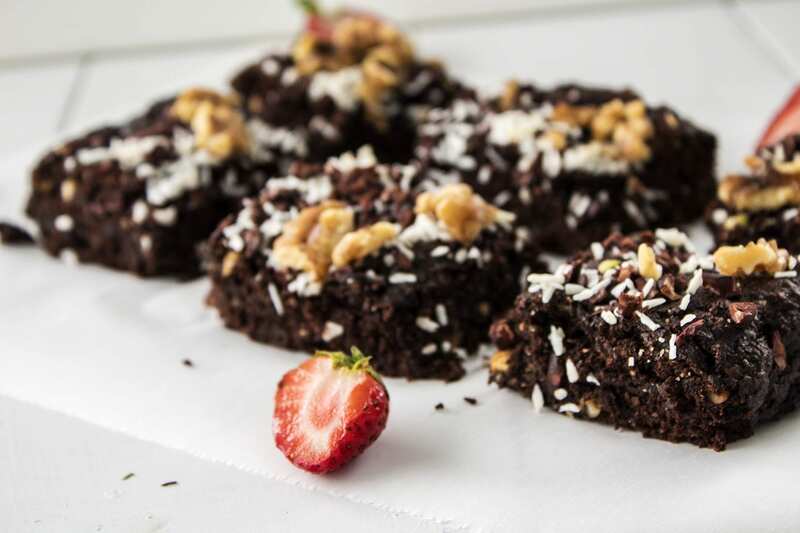 Before we move on to more savoury peanut butter recipes, here are easy gluten-free vegan peanut butter brownies made with banana and coconut flour! 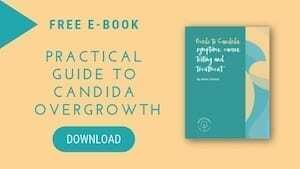 For everyone looking for Candida diet friendly recipes, simply replace banana with homemade applesauce (use about ½ cup) and maple syrup with xylitol or stevia. 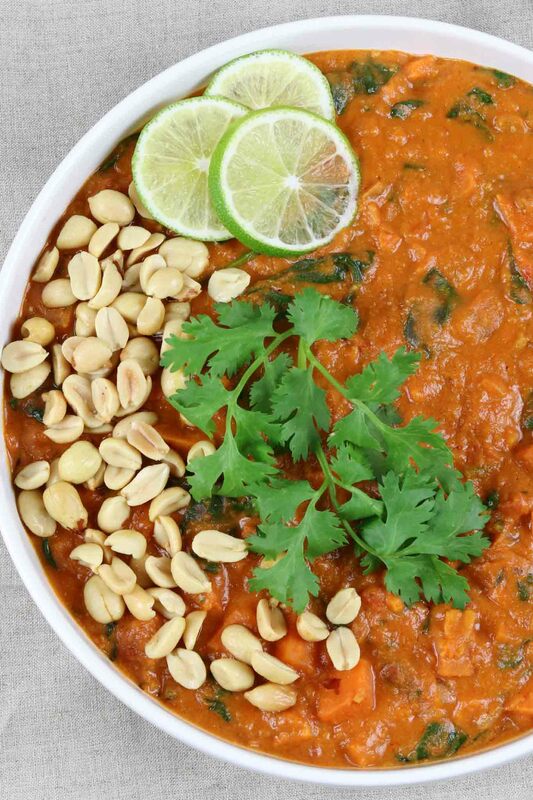 And thank you so much for another savoury peanut butter recipe! 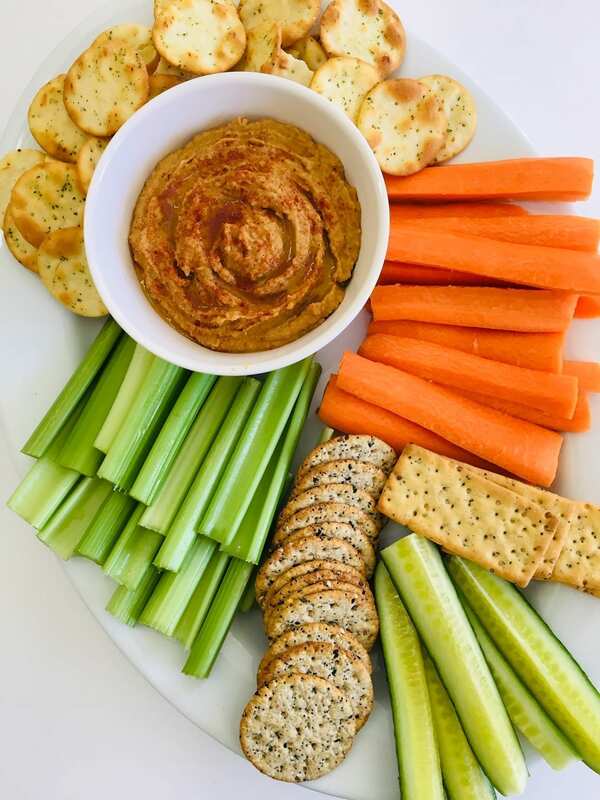 After all, peanut butter hummus sounds such a delight, doesn’t it? 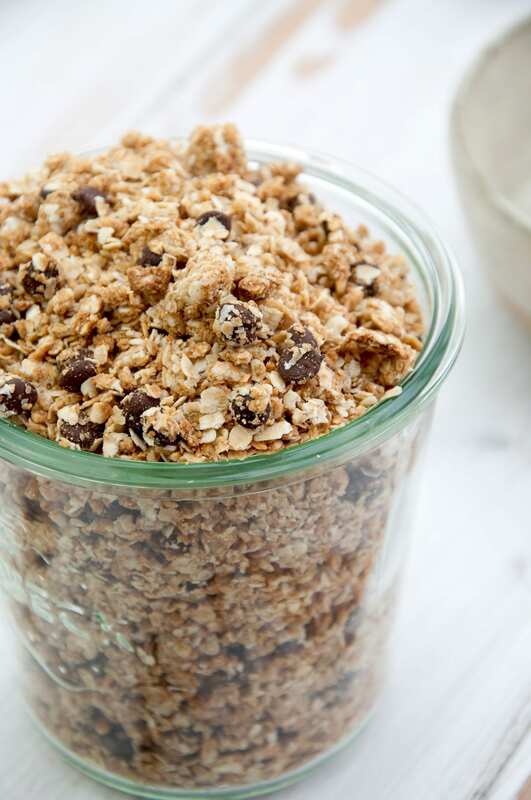 In case you are tired of sweet peanut butter recipes, feel free to make this scrumptious peanut butter granola without sweeteners or add just a tiny bit. 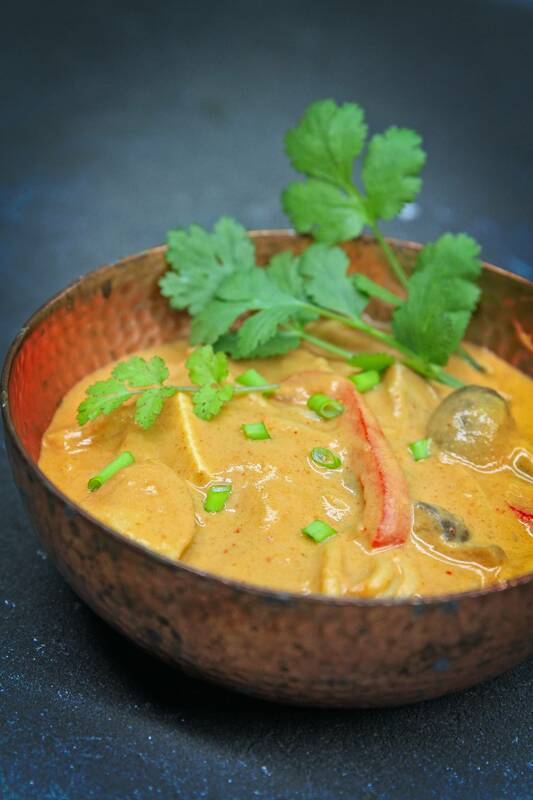 Let’s finish this peanut butter recipe party with a comforting and delicious Thai peanut noodle soup. I bet soup is all you want to eat after trying all the above decadent recipes! I so hope you enjoyed our small but delicious and beautiful peanut butter recipe party! Which ones do you like the most? Please let me know in comments!